I am giving you ULTIMO a new skin for all windows systems. The original idea was to give a vibrant pink red skin. However due to some shouts I have realized that it would be perhaps better to keep it just in grey scale this time. 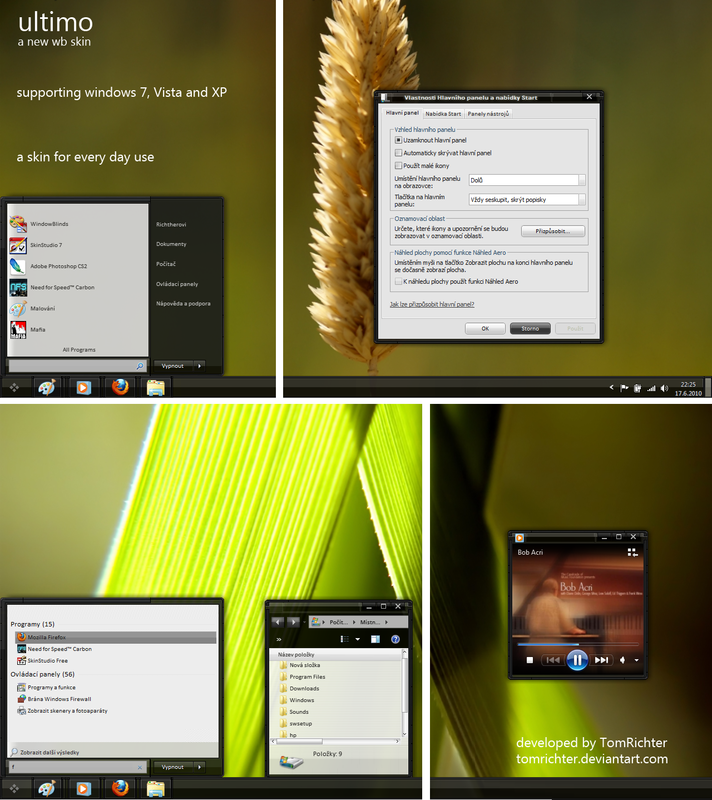 XP and Vista users are supposed to use large taskbar when going to windowblinds options. Excellent job, Tom...just one question: If I choose 'small icons' (W7), is there any way the start button resizes too? The way is is, currently, it becomes off centered and low. Worked like a charm, bud! Thanx! very nice Tom,,,,whispering ,,,,vibrant pink red skin would have been nice too thanks a bunch !! I like it, too. Nice and clean. A little color would have worked, I think. Maybe another one, down the road. Thanks, for this one.